DNNMasters User Switch is just what the name says - a SU-like utility for your DotNetNuke portal. Easy switching of user context without the need to log off and log on again and again. 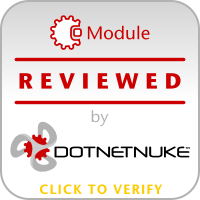 The module works on DotNetNuke 3.3.x/4.3.x/4.4.0. This module is great help when testing portal, supporting users, doing admin work from a normal user account, etc. DNNMasters User Switch is a powerful package that combines ease of use and the option to preset account name or role for fast, one-click switching of user context. Permission to switch to Administrators role can be granted to selected role(s). The module interface is clear, intuitive and easy to use. Everything you need is right there at your fingertips. With DNNMasters User Switch you can easily switch user context when doing administrative work or checking on user reported problem.